Established in New York in 1872, Sohmer and Company invented the baby grand piano in 1884, along with innovations in stringing and bridge design. Among the famous personalities who owned Sohmer pianos were U.S. President Calvin Coolidge, and composers Victor Herbert and Irving Berlin. 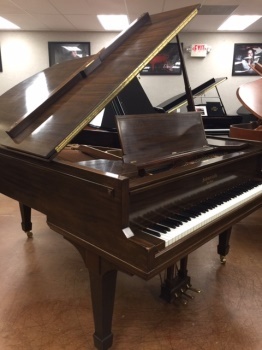 Seldom seen in this fine condition, this 1922 Sohmer 6' grand in our South showroom produces the rich, woody tone characteristic of the great old American brands.